Many of my clean recipes are at the same time easy high fiber meals but not all. For your convenience, I’ve put together my top 10 high fiber recipes for you. You might be surprised to see that the here presented meals are all plant-based dishes. Animal protein has zero fiber per serving, a fact many people are not aware of. But we really need to consider fiber as an absolute important nutrient. Some experts see it at the same macronutrient level as carbohydrates, protein, and fat. It is just the sort of miraculous thing that is inherent in plant-based foods and acts as a scrub brush in your body. keeps weight down by keeping your belly feeling full. slowly dispenses sugar through the body. to produce good metabolic products. pushes the bunk and toxic waste out of the colon. The common recommended intake of at least 30 grams of fiber per day for an adult can be achieved with three slices of wholemeal bread, a portion of fruit muesli, 2-3 medium-sized potatoes, two medium-sized carrots, two kohlrabies, an apple and a portion of raspberries. I have to add that 30 grams per day seem to be an absolute minimum and many experts call for more when you want to protect yourself from the typical lifestyle diseases of the modern western world. One thing many of my clean eating meals have in common is, that they mostly consist of fiber-rich foods based on plants. Pulses are the perfect ingredient for a balanced clean eating meal. Dan Büttner coined the term “Blue Zones”, which is also the name of his famous book. He found 5 areas (blue zones) in the world where people live the longest and happiest life on earth. One of the things he found that those people have in common is that they all eat a lot of pulses. Pulses, which are also known as legumes, have been a staple around the world for most of human history. Whether you’re in the northern tier where they raise lentils, chickpeas, and peas or whether you go south where they raise warm-season pulses, and black-eyed peas, there is a pulse that grows in every culture. They are cheap, versatile, delicious, super high in protein, iron, anti-oxidants, have a low glycemic index and are gluten-free. They lower the cholesterol in your blood and are good for your digestive system, due to their high roughage content. The following Top 10 meals high in fiber content are easy to prepare and will help to nurture your gut bacteria (microbiome) in a favorable way. I’ll start with cowboy caviar that contains a maximum of this precious nutrient. It consists of 3 types of legumes: red kidney or black beans, black-eyed peas, and chickpeas. Add to this the fibrous corn and you’ll have a fiber-packed salad or salsa that is hard to top. For a wholesome lunch serve it with slices of whole grain bread, an additional source of healthy “ballast”. 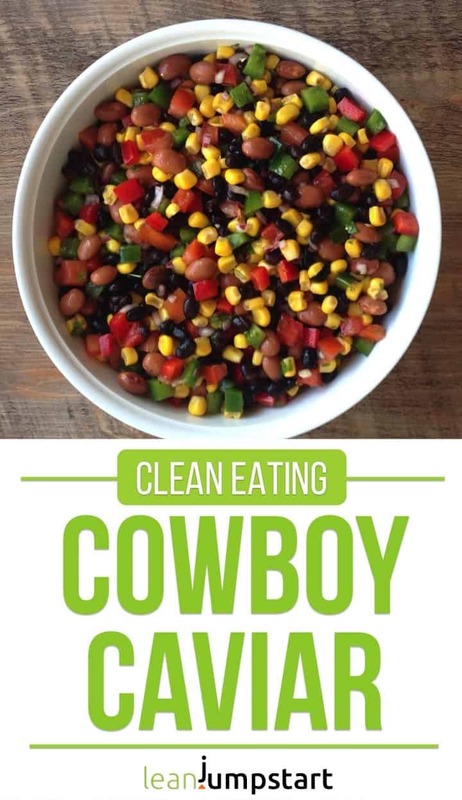 Grab the cowboy caviar recipe! Quinoa is a protein-rich pseudo-grain, which surpasses brown rice in the list of top high fiber grains. Combined with white beans, kidney beans, and chickpeas, some vegetables and seasonings you can create easy high protein meals in a snap. 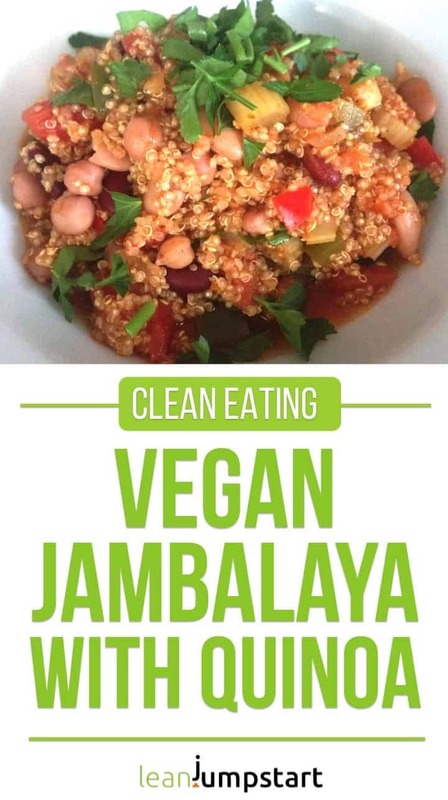 Click here for the jambalaya with quinoa. This soup is, in fact, a family staple I make quite often on times when most of my vegetable subscription box is depleted. Many of the ingredients like potatoes, red lentils, onions and carrots I have sitting in my pantry anyway. You can also replace the regular potatoes with sweet potatoes which are a bit higher in roughage. Thanks to red lentils the soup can be cooked within 30 minutes. 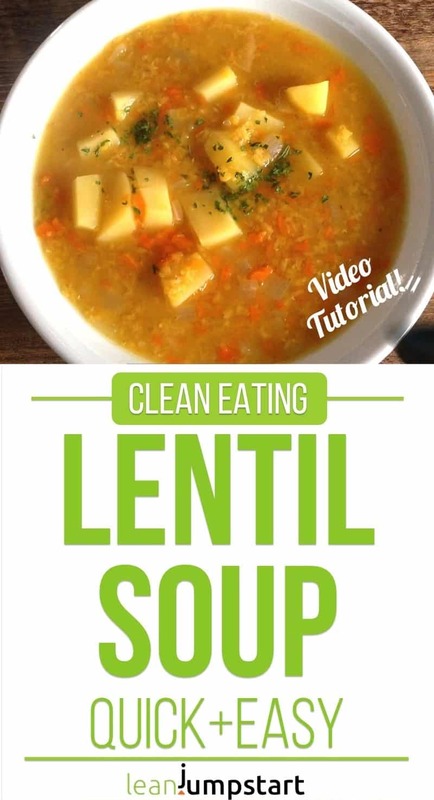 Click here for the quick and easy lentil soup recipe. Spice-up your life with this lazy, wholesome dinner idea. You just need a pan and 30 minutes. It makes a great soul food on stressful days you wish you could just order a pizza. Instead, pause, take a deep breath and start cooking. I recommend to serve it with some bulgur as a side dish, which itself is high in roughage. You can grab the chickpea curry recipe here. This filling vegetable soup is so yummy, you start to eat and you think you can’t get enough of it. But when you slow down as you should and try to eat mindfully (not my strength) you experience quite soon the filling power of red beans and chickpeas. Heads up: Parmesan is not vegetarian, just in case you want to serve this soup to vegetarian guests. 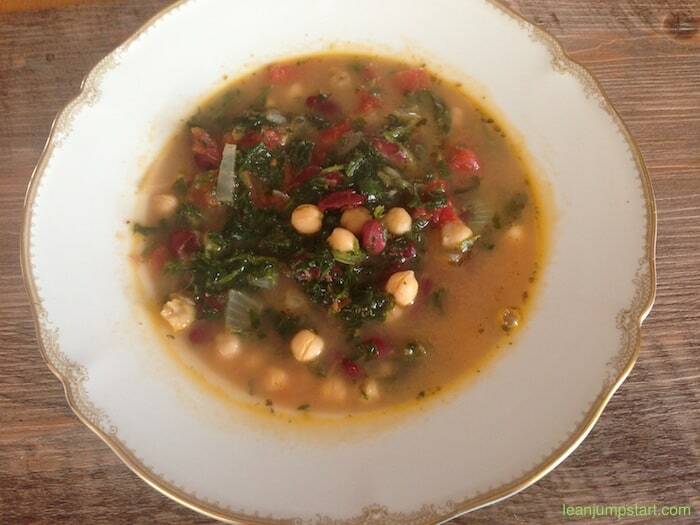 Grab the red bean chickpea Parmesan soup recipe. This juicy salad is perfect for your lunch box or as part of a high fiber meal plan. You could even prepare it the night before and let it sit in your fridge. Do you have a mostly sedentary office job? Then it is even more important to stimulate your bowels in a smart and healthy way. Beans and quinoa in combination with the magic cabbage will improve your digestion naturally. 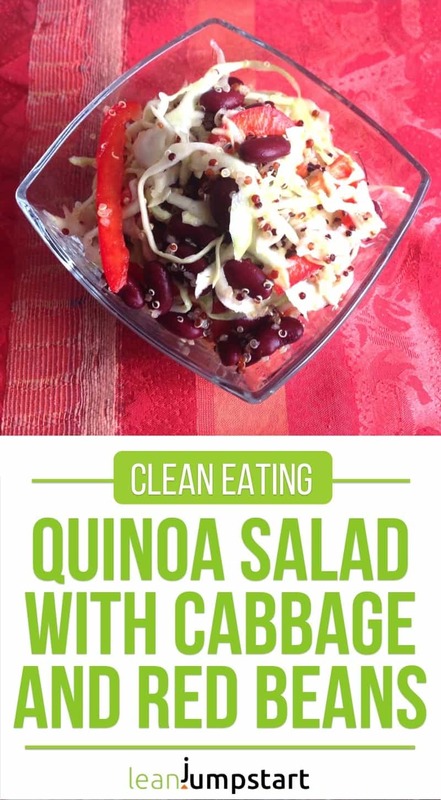 Click here for the quinoa salad with cabbage and red beans. As mentioned, the sad truth is that you won’t find any fiber in regular burgers. But here is the solution for all burger fans: These kidney bean burgers look like a regular burger and yet they are plant-based and perfect for adding roughage to your diet. We combine them most often with homemade potato salad. So yummy! Grab the recipe for kidney bean burgers here. It’s time to remind you of my homemade whole wheat bread I’m still baking each Saturday. It contains quite a few foods rich in roughage: whole wheat flour, flaxseeds, pumpkin seeds, and sunflower seeds. You could combine it with any clean eating spread you like, but to maximize your daily fiber intake I recommend to enjoy it with some garlic hummus. 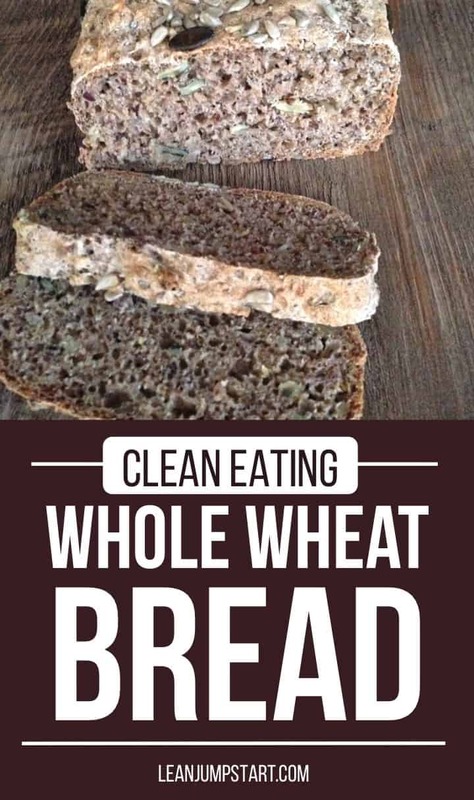 Tip: If you can’t buy a whole grain bread of good quality in your region, make sure to try out my simple whole wheat bread recipe. For this plant-based meal, you first cook brown rice in coconut milk. In the meantime, you sautée the veggies with some olive oil in a pan and add the beans only, at last, combined with the sweet smelling coconut rice. What a taste experience! You might want to add some chia seeds to this dish to add some extra roughage. 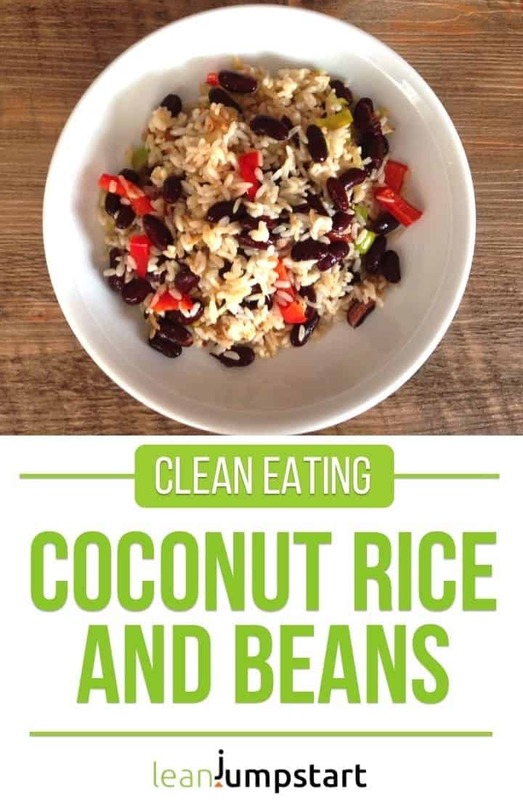 Click here for the coconut rice and beans recipe. If you think you can’t tolerate pulses, my recommendation is: “Don’t give up too early on these super foods”. It is better to start slowly and test out which legumes work best for you. Step by step you’ll increase the good gut bacteria which will then help you to better tolerate legumes. Cruciferous vegetables like cabbage and brussels sprouts might also be harder to tolerate in the beginning. So it’s best to increase their consumption slowly if you have a sensitive gut system. In the meanwhile here is a parsnip soup recipe for you – totally legume and cabbage free. And yet with parsnips ranking number 2 on my Top 30 list of high fiber vegetables you have soup at hand you can enjoy without guilt. I recommend to serve it with some whole grain bread for even better bioavailability. 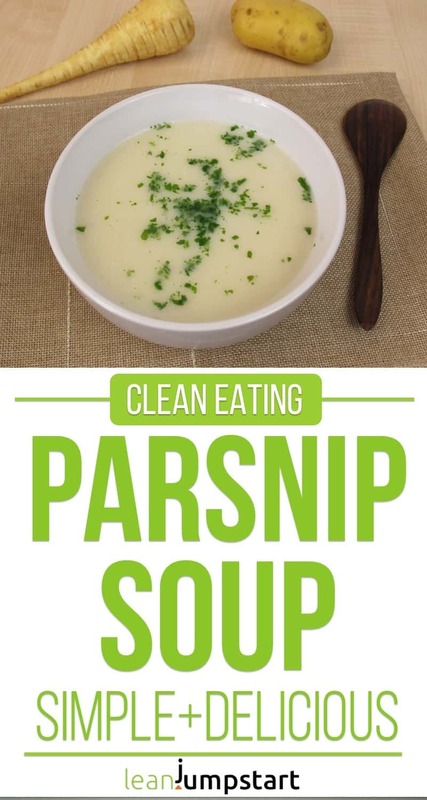 Click here for the parsnip soup recipe. Remember, the setpoint of information in the human body is actually in the gut. Some experts call the intestine even your body’s second brain. Hopefully, these inspirations can help you treat your digestive system with the respect it deserves. Fiber rich meals are so important for healthy eating! I am so excited to try your recipes… especially the parsnip soup. Thank you! I’m glad that my parsnip soup could inspire you, Meredith. This easy root soup is perfect for the upcoming autumn season, filling with slices of whole grain bread, while its calories are neglectable. We all need more fiber and this is a great roundup to diversify the menu. 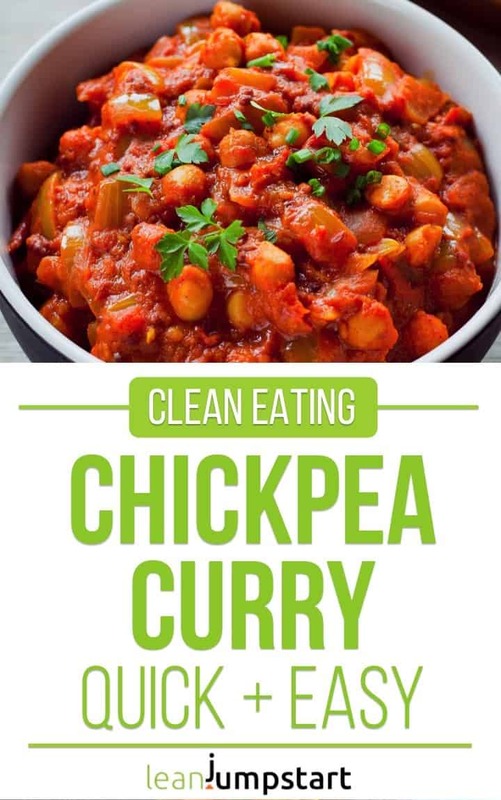 Chickpea curry is one of my favs! Thanks for sharing. They sound like some tasty options – always good to have real food so a diet isn’t a chore. Thank you Caroline. I’m glad that my wholesome and simple meal options could inspire you. WE are on a mission to eat cleaner starting Monday. We have our menu plan done but I will add some of these to the week after! Hey Cindy, this sounds great! Wishing you a successful transition to clean eating. By the way, all the recipes on my website are clean. Most of them are also plant based and naturally high in fiber. I’m always trying to get more fiber in my diet bc I know how much I need it. These are some great ideas. I’d love to make few of these soups for easy meal prep! I’m happy that my soup ideas could inspire you, Karen. By the way those soups are also freezer friendly. These look like some tasty, filling, nutritious dishes. Love the sound of that jambalaya! Hey Lisa, thank you! Jambalaya sounds as good as it tastes. I can highly recommend to give it a try. What a great roundup of options for meatless meals. I love quinoa so I’m partial to the jambalaya but I also love chick peas and black eyed peas so that cowboy caviar is also on my gotta try list. I can also see the coconut rice and beans as a great side to my regular meals. I love all these high fiber recipe ideas! I know I definitely have days where I don’t get enough fiber, so this post is super helpful. Thank you Chrissy, I’m glad that find my recipe ideas helpful. To your health! these high fiber recipes are perfect for me right now as my brother is very sick and this is what the doctor ordered. Thank you for all these suggestions they are going to come in handy! I’m glad that my recipes could inspire you regarding your brother, Claudia. Wishing him that he will getting well soon again. Wow these all sound really good! The Cowboy Caviar and Coconut Rice and Beans are my favorites!